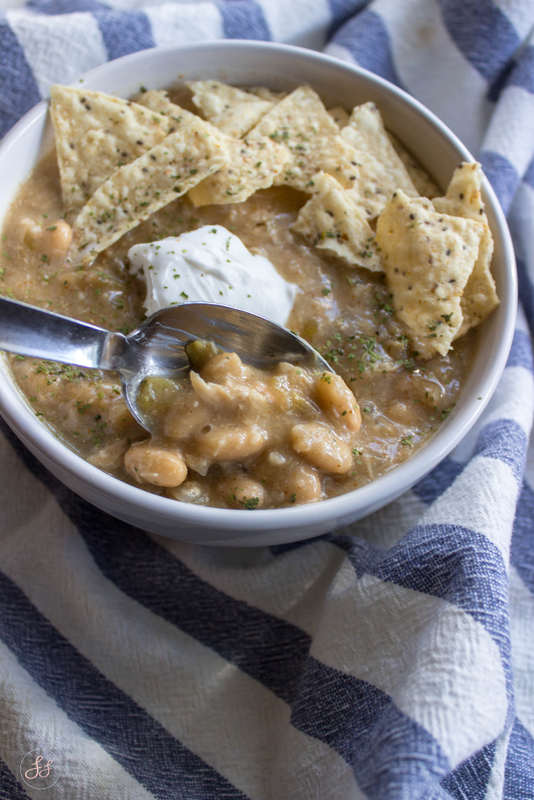 I've made this recipe a couple times over this Florida fall/winter season. Each time finding what works and does not work. So know this recipe is best if you follow the directions below exactly. Just a few simple ingredients blend well together in this protein filled set and forget a meal! In a large crockpot, put in all your ingredients EXCEPT the corn starch and water.Cook on high for 5-6 hours till the chicken thighs are cooked through and soft After the 5-6 hours, remove the chicken with a slotted spoon/ladle and place on a cutting board to shredBEFORE putting the chicken back into the crockpot, determine if you would like the soup to be thicker.If you would like it to be thicker, mix the cornstarch and water together and add it to the crockpot. Then place the chicken back into the crockpot and let it cook for another 20-30 minutes.After that time, you can use an immersion blender to blend the soup a tad, don't blend too much or you will lose your beans. 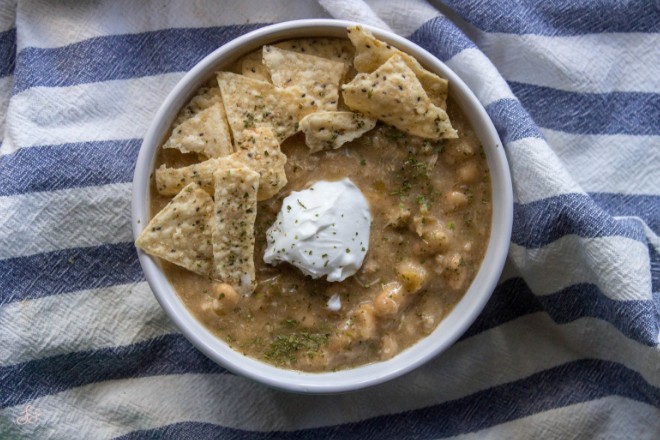 Serve with your favorite chili toppings such as tortilla chips or dairy free sour cream! *Chicken Thighs really work the best. I've used Chicken Breast but they tend to be on the dry side and don't compliment the soup well.